Incredibly effective compression underwear for under your breeches and riding tights. Picky about yo.. Incredible comfort and stability with the easiest on/off you will ever find in an effective compress.. 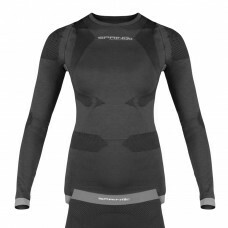 Compression underwear with built in torso control. Perfect when paired under or over your favorite C.. Wide set straps and closed end zipper track allow the wearer to step into this garment or put it on ..
Goodbye sitting trot bounce! The Cheata" Trotter is our most stable, powerful, and minimizing bra st.. PROVIDES POSTURAL SUPPORT AND AIDS IN MUSCLE RECOVERY  Postural Support Structure - supports muscle..